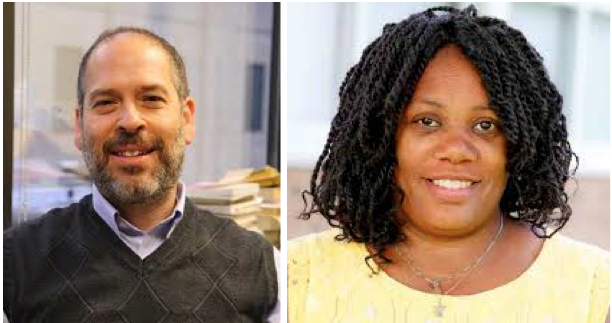 Steve Marchese and Zuki Ellis are two of the candidates in a field of nine. Others: Jon Schumacher, Mary Vanderwert, Keith Hardy, Scott Raskiewicz, Aaron Benner, Greg Copeland and Linda Freeman. With filing now closed, St. Paul school board candidates include one who eschews social media and another inspired by “The Untouchables.” The five most serious candidates are DFL-endorsed Zuki Ellis, Jon Schumacher, Steve Marchese, and Mary Vanderwert, all of whom identify with the teachers-union-backed Caucus for Change, and school board incumbent Keith Hardy, who is running without endorsement. The four who are elected in November will deal continuing problems, including student achievement, discipline and budgets, as well as middle school students leaving the district. “For both Special Education and ELL students, the word ‘mainstreaming’ has been used to disguise blatant neglect for individual student progress, and I cannot support the way it has been carried out. “Time and again, the administration with the support of the board has pursued a well-intentioned effort to increase educational equity only to have it be undermined by arrogance, poor communication and questionable administrative decisions. Educational equity is too important to be undermined by poor implementation. Marchese has both a campaign page and a campaign Facebook page. Caucus for Change has extensive candidate questionnaires posted on their website. “It crossed my mind about a month ago,” Benner said about running for the board. “I was actually on a treadmill watching the moving The Untouchables. It’s about Elliott Ness and how he was assigned to rid Chicago during the prohibition era of Al Capone and his cronies. “It reminded me of St. Paul Public Schools and the arrogance, how they are not only corrupt, but are going to throw it right in your face and challenge you to do something about it. I thought to myself, somebody needs to be an Elliott Ness. Greg Copeland is that rare bird, a St. Paul Republican. He has run for school board before, garnering less than 10 percent of the vote. Not much prospect of winning this time around either. Linda Freeman is somewhat of a mystery, with no listed campaign page. The Pioneer Press describes her as “on the ballot 20 years after failing to make it past the primary round of her first run for school board,” and says she shares some of the concerns of the Caucus for Change. Voters will choose four of the nine candidates to serve on the school board. Long-time St. Paul school board member Anne Carroll and first-termers Mary Doran and Louise Seeba all opted not to run again. John Brodrick, Jean O’Connell and Chue Vue are serving terms that run through 2017.